Though the area where the Spring Canyon Coal Company would develop a mine had been known for years as having a rich coal seam, it would be decades before commercial operations would be established. In the late 1800’s, Helper residents were often known to haul coal by wagons from an opening on the side of the mountain. 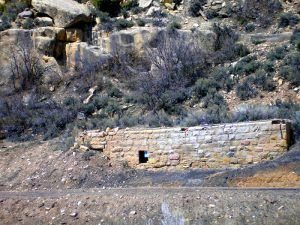 A small mine was worked in Sowbelly Gulch by Teancum Pratt in 1895 when he built a wagon road and began to haul coal back to Helper. Around 1897, bought the acreage, operating his small coal mining venture until 1912. At that time, Jesse Knight and other investors in Provo, Utah purchased the land and organized the Spring Canyon Coal Company. 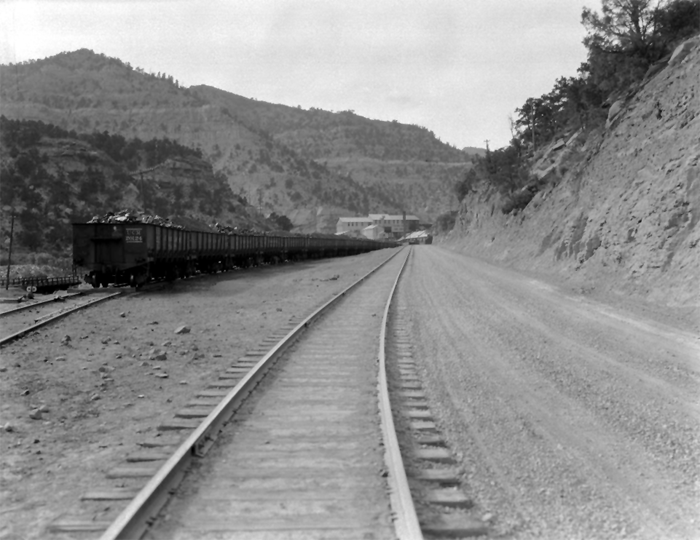 The company began to develop some 2,000 acres of coal land and made plans to build a railroad to connect the mine in Spring Canyon with the Denver & Rio Grande Railroad at nearby Helper. Starting with just about a half dozen miners, supervised by Provo ex-sheriff George Storrs, coal was first shipped to Helper via wagons. However, when the railroad was completed in October 1912, the mine began to make its first shipments on the train, which sported a brand new locomotive. Storrs also was the superintendent of the railroad, as well as the mine. Coal was delivered from the mine to the canyon floor by way of an aerial tramway. Expanding quickly, a new steel tipple began to be built in March 1913, which had a capacity to handle some 2,000 tons of coal per day. By may, it was operational and was shipping about 600 tons per day with expectations of quick growth. That same year, the private railroad was bought by the Denver & Rio Grande Railroad. As the mine expanded the camp that supported it was also growing, taking on the name of Storrs, for the mine superintendent. The company also built a number of four room cottages for the miners which included hot and cold running water, a store, a hotel, and a hospital. By the end of 1914, the mine was producing about 1,000 tons of coal per day. In 1919, a new surface tramway replaced the mine’s aerial tramway. Jesse Knight died on March 14, 1921, and the following year, the company was sold to James B. Smith and his associates of San Francisco, California. In 1924 the Town of Storrs changed its name to Spring Canyon, perhaps because its first superintendent, George Storrs, who had moved on and started his own company, had been indicted on mail fraud charges in connection with the promotion of his Great Western Coal Company in Gordon Creek Canyon. Though Storrs would later be cleared of the charges, the town would forever be known as Spring Canyon. By that time, the town boasted a population of approximately 1,100 people. By 1940 the Spring Canyon mine was ranked as the fourth largest producer in the state. Ever expanding, by 1948, the Spring Canyon Coal Company was also operating the Standard and Royal Mines. However, the prosperity couldn’t last forever, and by 1954, much of the coal had been depleted and the Spring Canyon Coal Company shut down the vast majority of its operations, operating with just a skeleton crew. Most of the residents left town, but the mine continued to operate until 1969 when it was closed. 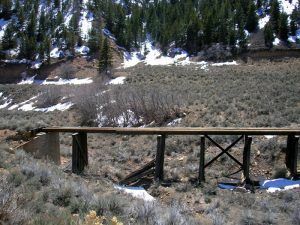 An old railroad bridge in Spring Canyon, Utah by Kathy Weiser-Alexander. Unfortunately, six years later, in 1975, the entire town was raised, leaving only parts of the tipple trestle.